An American Paper Optics EXCLUSIVE! 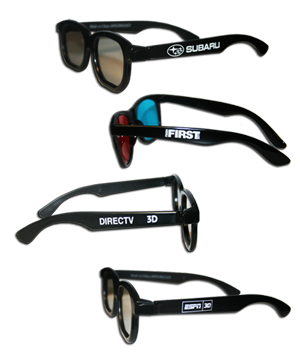 For the first time ever, we now offer 4 color custom printing on some of your favorite plastic 3D Glasses. Call now for more information on how to customize your 3D plastic glasses. Talk about 3D with class!